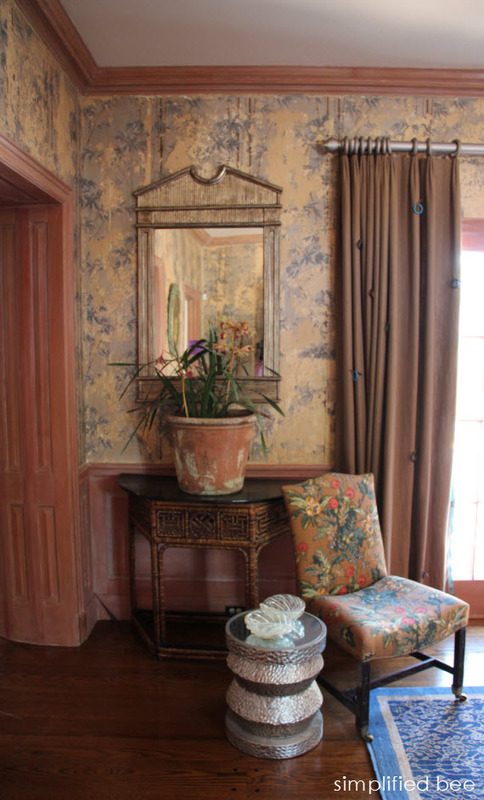 Interior Designer, Mary Linn Coldiron of Coldiron Interiors creates a stunning entry for the Peninsula Volunteers Decorator Show House in Woodside, California. The two-story foyer features beautiful quarter-saw wood paneling, a wall of French doors and a grand staircase. 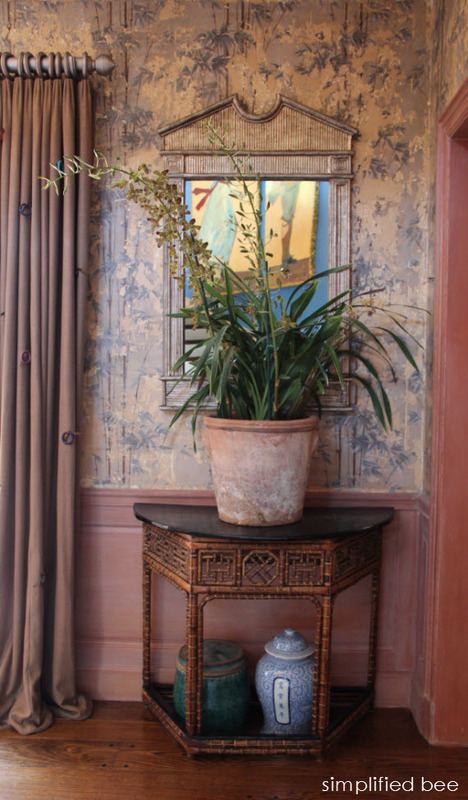 Under layers of paint and paper the original French wallpaper with Chinoiserie bamboo motif was discovered and restored. 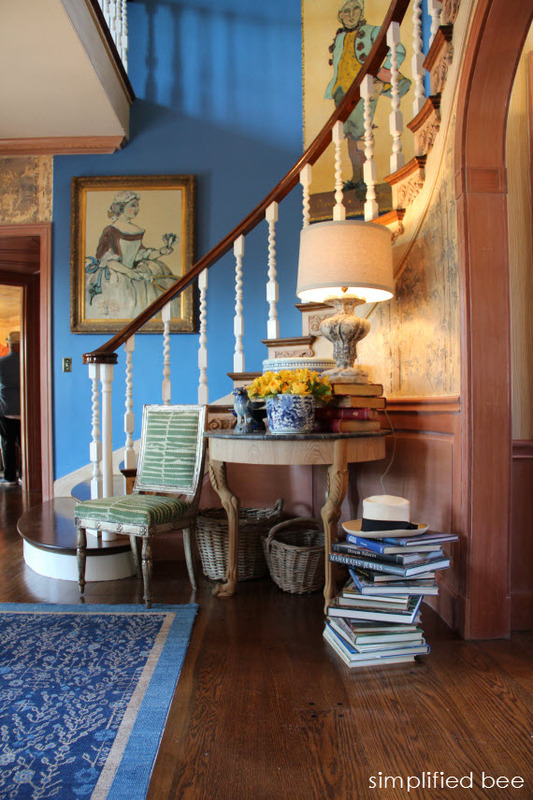 The wallpaper’s blue hue was repeated in the rug, accessories and wall leading to the second floor. 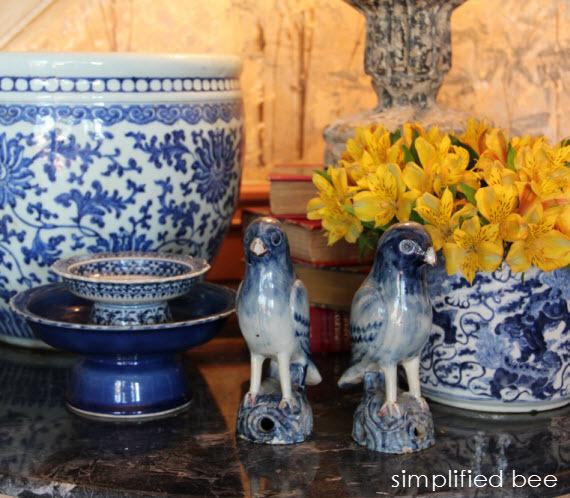 Bamboo furnishings and blue and white Chinese pottery add to the room’s chic Chinoiserie style. 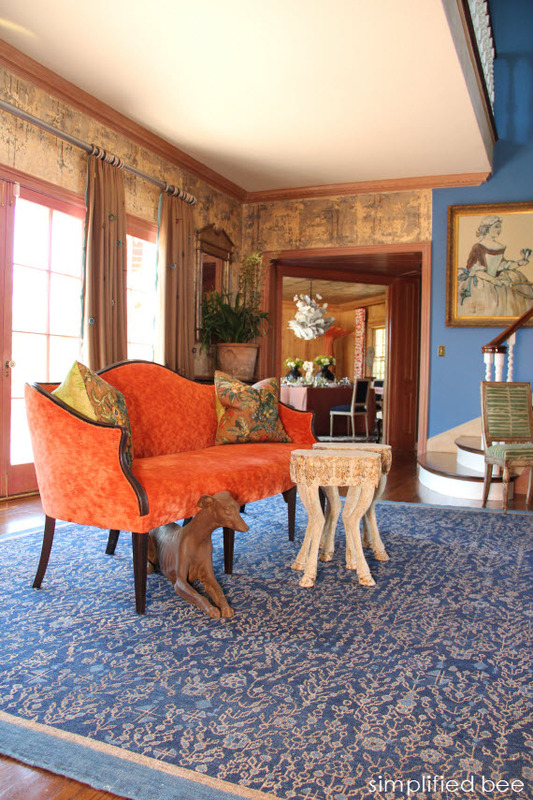 In the room’s center, an elegant settee in tangerine velvet is paired with a resting dog statue and charming hoofed side tables. 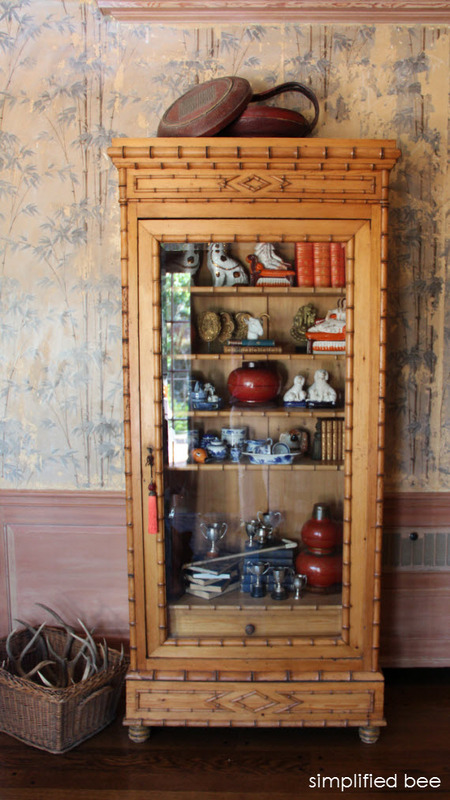 Not only do I love the Chinoiserie elements in this space, it has a wonderful curated feel. Perhaps it’s because the design is closely aligned with my own aesthetic. Hopefully you get the opportunity (if in the San Francisco Bay Area) to tour this gorgeous Woodside estate. 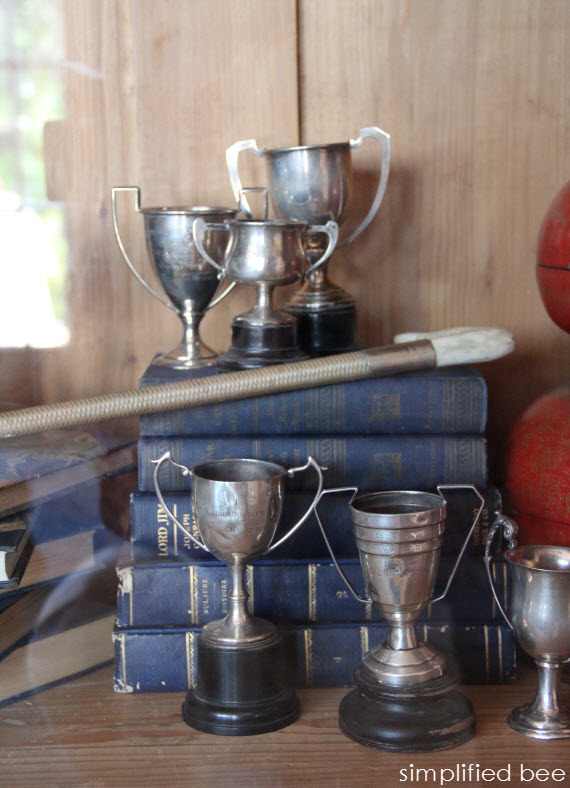 It’s only open one more week until May 24th, so don’t delay! 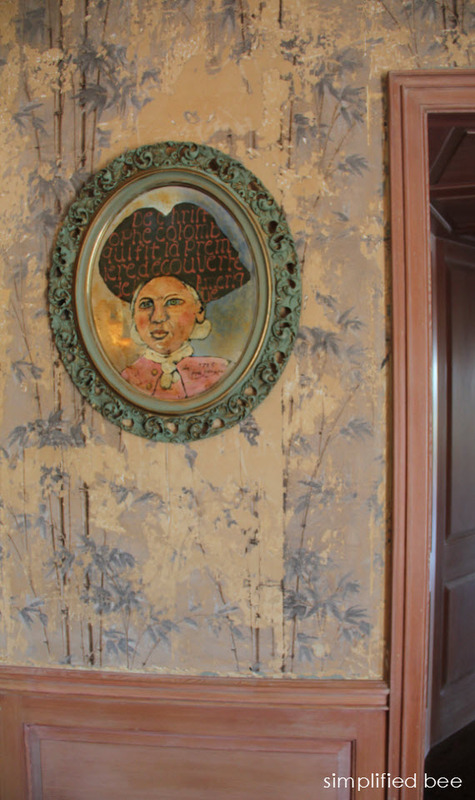 And in case you missed it, here’s a tour of the Show House’s Guest Bedroom , Mother-in-Law Suite and Card Room. Just stunning, its as elegant as it is warm and inviting.